Happy Friday! 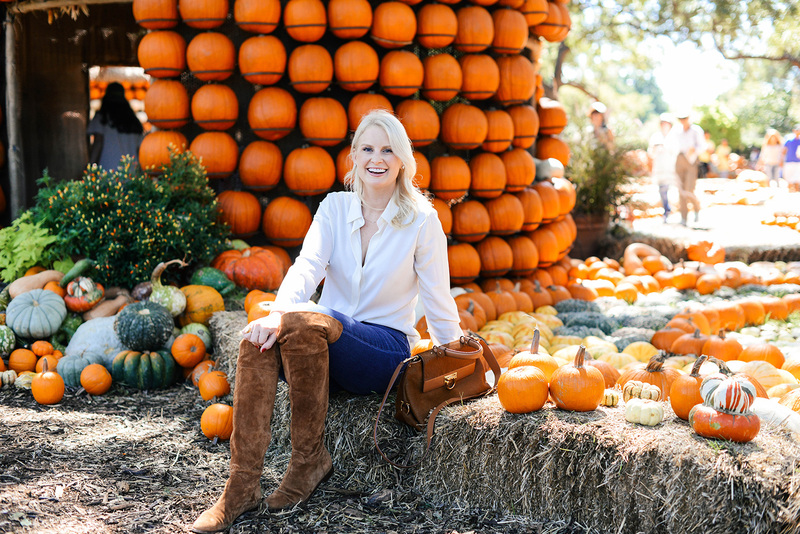 Yesterday Allison and I hopped in the car and drove over to the Dallas Arboretum to check out their annual Pumpkin Village. 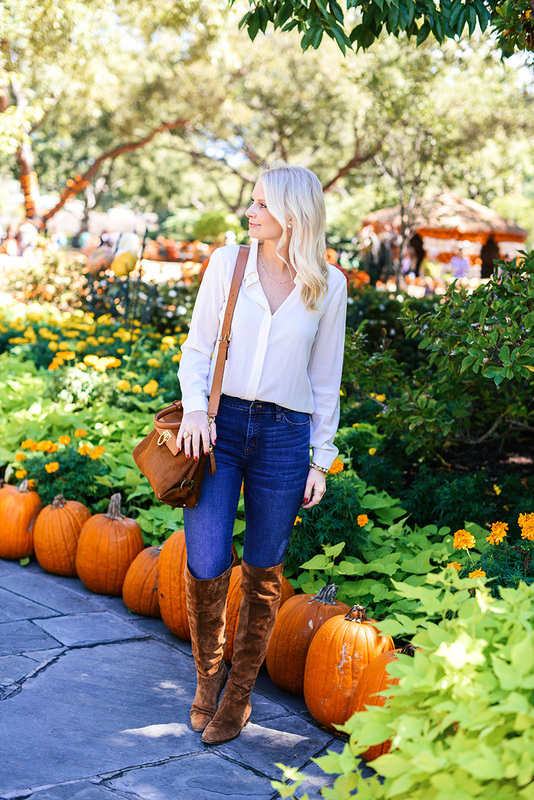 It’s one of my favorite things to do in Dallas in the fall! Thousands of gourds of all colors, shapes and sizes are sprinkled and clustered throughout the Arboretum. 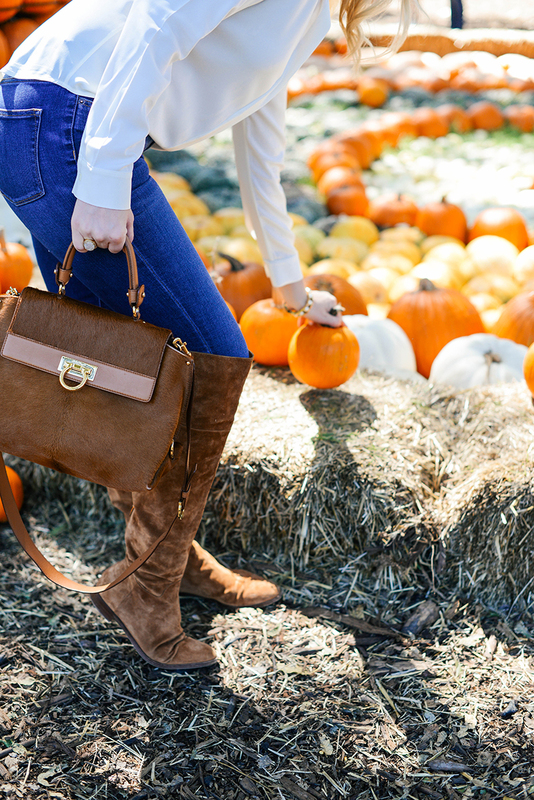 It’s a magnificent fall backdrop for outfit photos, don’t you think? I still have more outfits from New York Fashion Week coming, but I couldn’t help sharing these photos a little early. Fall is definitely my favorite of the four seasons, and with the slightly cooler weather we’ve been experiencing this week, I just couldn’t resist! You may remember these over-the-knee boots from last winter? I snagged these Sergio Rossi beauties on major sale, but lucky for you I found a nearly identical alternative this season for under $300! I actually just ordered the same boots in black because I’ve loved my Sergio Rossi pair so much. While I like a fitted boot like this pair by Stuart Weitzman, sometimes I prefer something a little more slouchy and less constricting. These are so, so comfortable and look amazing day or night. If you need examples of how versatile they are, I’ve styled them before here, here, here and here. 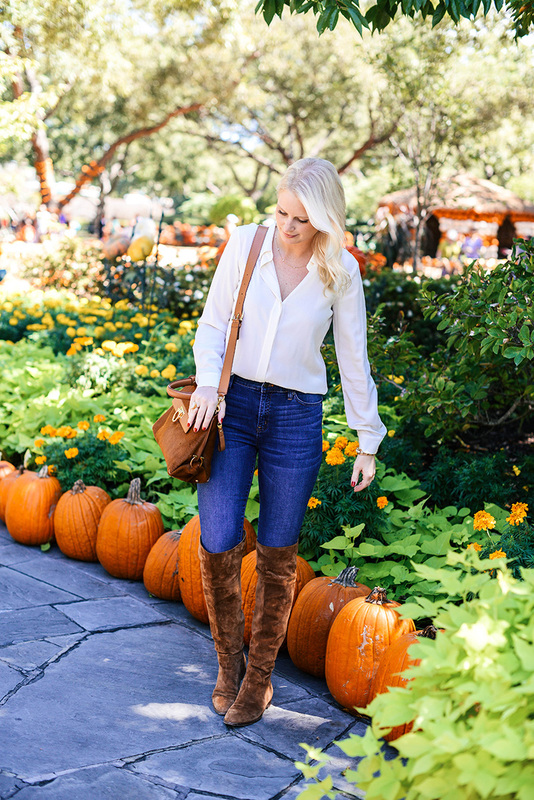 While it’s still too warm to wear real sweaters out and about, I love being able to style fall shoes and accessories like these boots and this calf-hair bag with my everyday basics like a silk shirt and jeans. The perfect transitional outfit, if I do say so myself! Hope you all have a fantastic weekend! 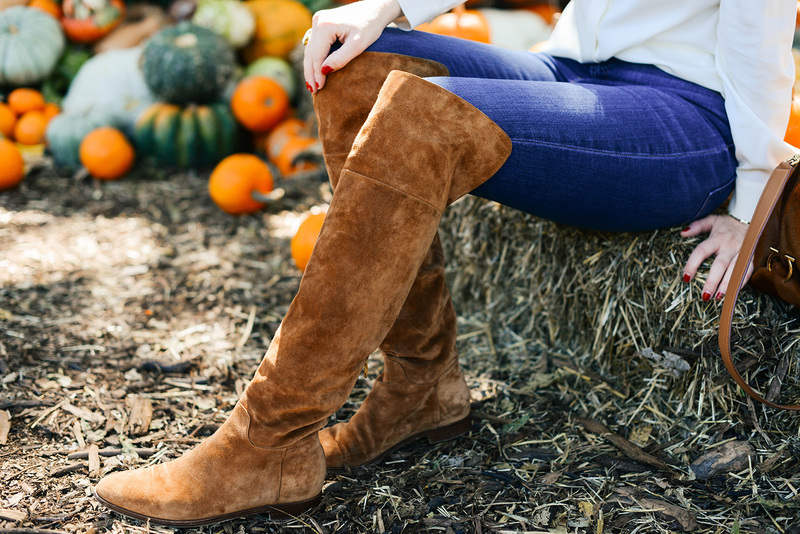 This is such a cute look to transition into Fall and these boots are stunning! 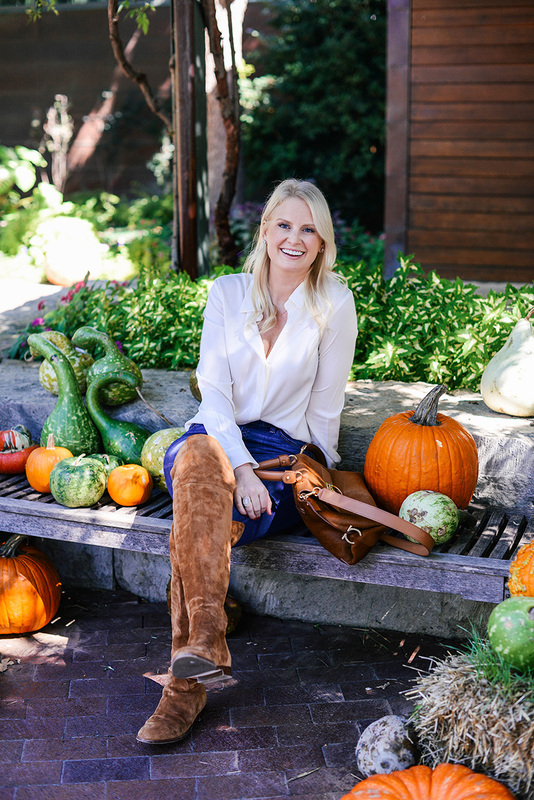 I need to find a pumpkin patch ASAP, these photos are gorgeous with the pops of orange! Love the boots :) Happy Friday, Merritt! These photos are the cutest! And your outfit is perfect. Love the boots! What a fun way to spend an afternoon!! Your boots are beautiful, love the OTK trend. Have a great weekend! I’m just enamored with this pumpkin village! I don’t think we have anything quite like this in Houston. 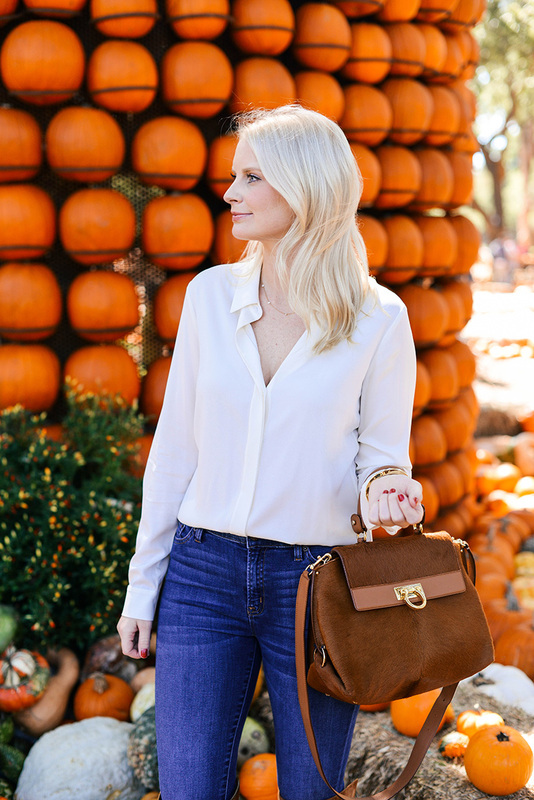 this outfit is just perfect for a pumpkin patch!! hope you have an amazing weekend!! How cute! I love all the pumpkins! oh my word this place looks adorable! That pumpkin wall/house oddly makes me really happy. So cute!